After graciously saying that Jesus’ existence has been debated by scholars for many years, Dotun wonders if we can know about Jesus or anyone else from the time with any certainty. I explain that while we can forego certainty, we can certainly make probabilistic judgements, and that Jesus gives us real problems. Dotun then asked how I came to my sceptical conclusion. 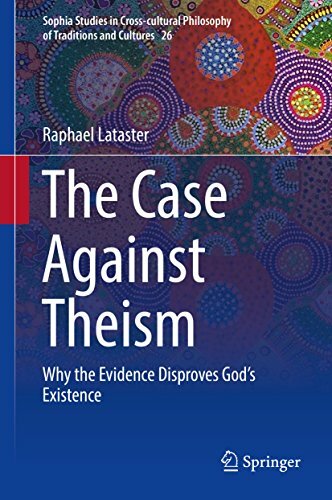 I explained that the poor sources and the lack of a decent case for the Historical Jesus led me to agnosticism on the matter, and opened the door to mythicism. Regarding the latter, I explained the problem of Paul, and the very plausible notion that Christianity began with a celestial messiah - which some Jews of the time already believed in. At this point, Dotun dropped his facade of objectivity, criticising me for merely ‘thinking’ that my theory is a good one (reminiscent of how creationists call evolution a mere ‘theory’), and blasting me for my lack of evidence, further implying that there is much evidence for Jesus’ historicity. He asked how it could be that all the biblical writers are talking about some celestial figure that didn’t exist, and claimed that there is lots of detailed historical information about Jesus. I explained that the latter is simply not true, that the sources tend to be biased and/or fraudulent, and non-contemporary, and mentioned how the earliest sources are ambiguous and likely discuss a celestial Messiah (as per 1 Co 2:6-10, where Jesus is killed by sky-demons; a passage written by Paul, who usually honours the human authorities that are in power due to God’s will). I also note an interesting asymmetry in this debate: while there is evidence of Jewish beliefs in a celestial Messiah (even Ehrman admits this), there is ZERO early evidence of a purely human/non-divine Jesus. I tell Dotun that we need to be careful about what we call ‘evidence’ and what we claim it is evidence for. Moving on, Dotun asked if I come in to this research as a sceptic, which I whole-heartedly own; it is a scholar’s job to be critical! I also explain that none of this is religious or anti-religious. It is A Debate Among Atheists. Dotun then asked why I, as a scholar and a historian, am not considering that the stories of Jesus are so consistent. I patiently explained that the New Testament itself is very inconsistent, as historicists will admit, and that it evinces numerous early and disparate Christianities and Christologies. Finally, the popular presenter asked about how we all came to be ‘conned’ so well, and about how this figure became the Jesus we know and love. I noted that we needn’t feel particularly bad, since religion has been making false-but-popular claims throughout history. I also explained that Mark allegorises Paul, which leaves the door open for Christianity’s origins involving a mystery religion. The allegory simply becomes the basis for an alternative form of the faith, and there are eventually several competing forms of the faith, with one form eventually dominating. The one that wasn’t so secretive and elitist.